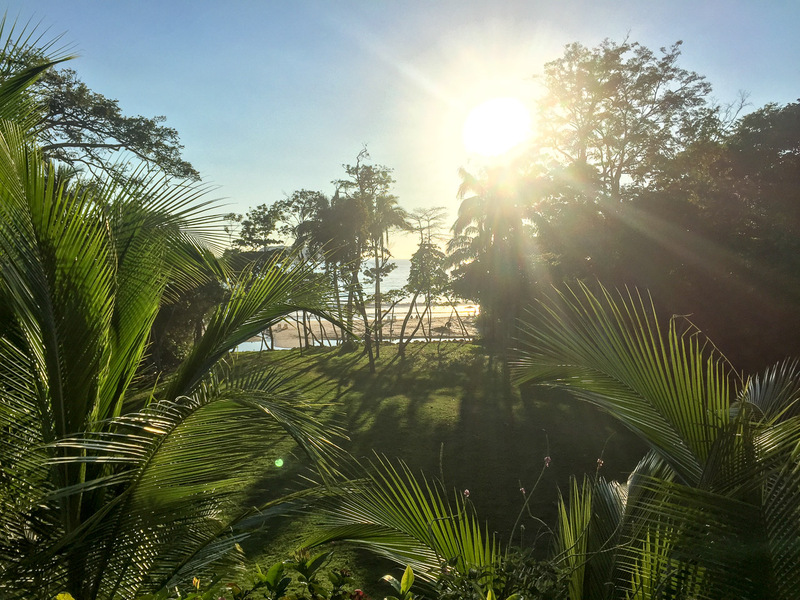 Our Central America adventures were coming to an end but not before we took a couple of days rest in Costa Rica. 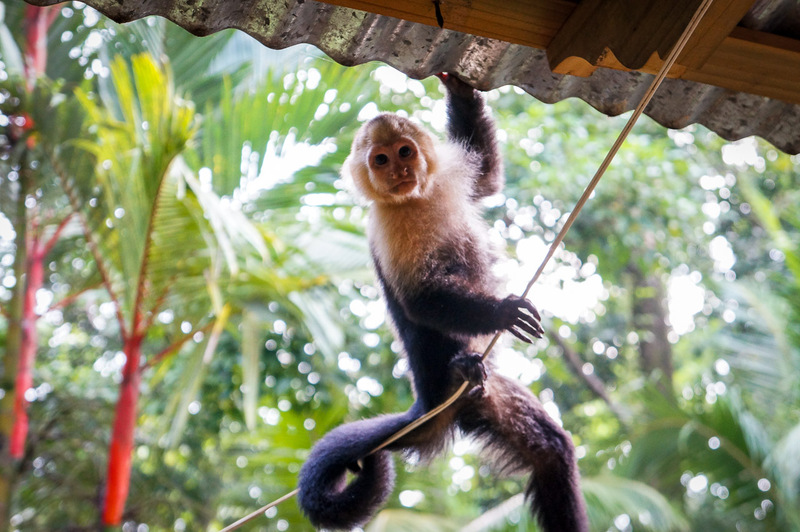 We had travelled through Costa Rica extensively a few years ago (sorry no guide) and absolutely loved it. 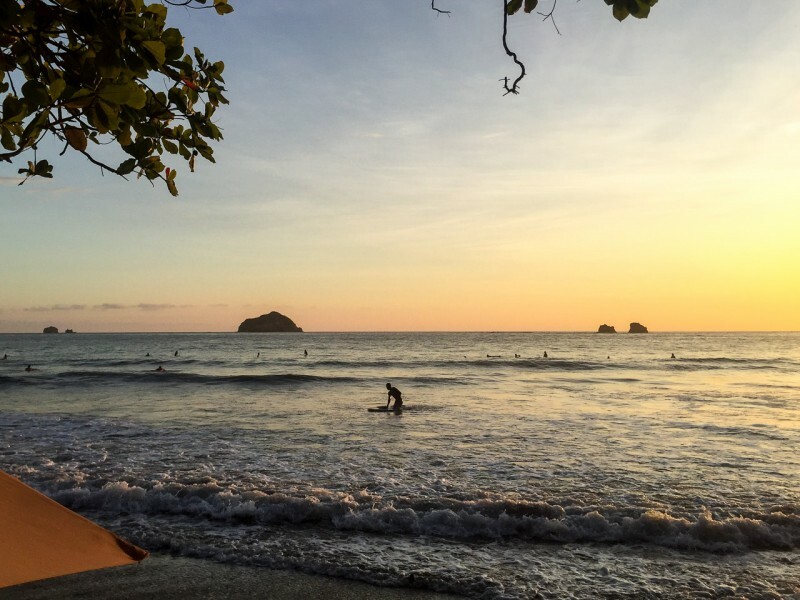 Costa Rica is such an adventurous country with so many fun outdoor activities, however, it is also the most expensive country in Central America… everything was almost double to that in Nicaragua. Cross the border and it was like chalk and cheese. 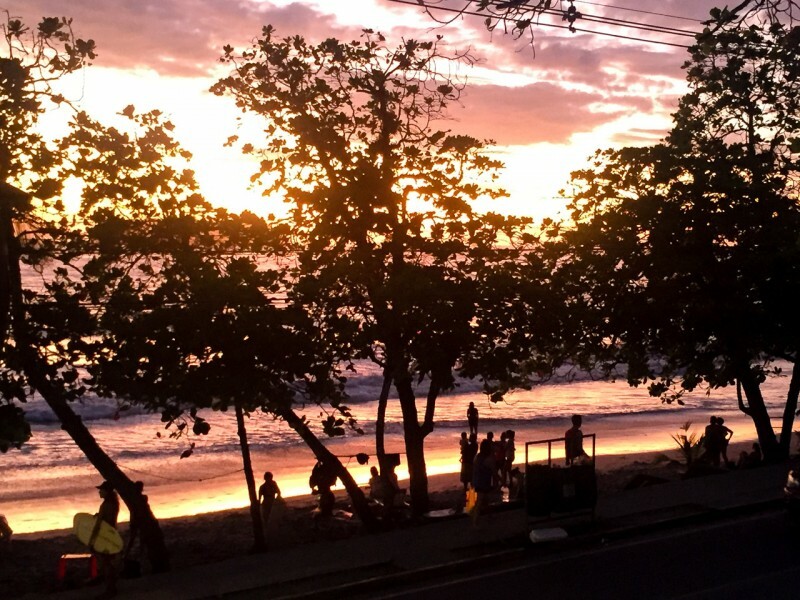 Below is a short & basic summary of our 3 relaxing days spent in Manual Antonio, a small beach town in the south west of Costa Rica. 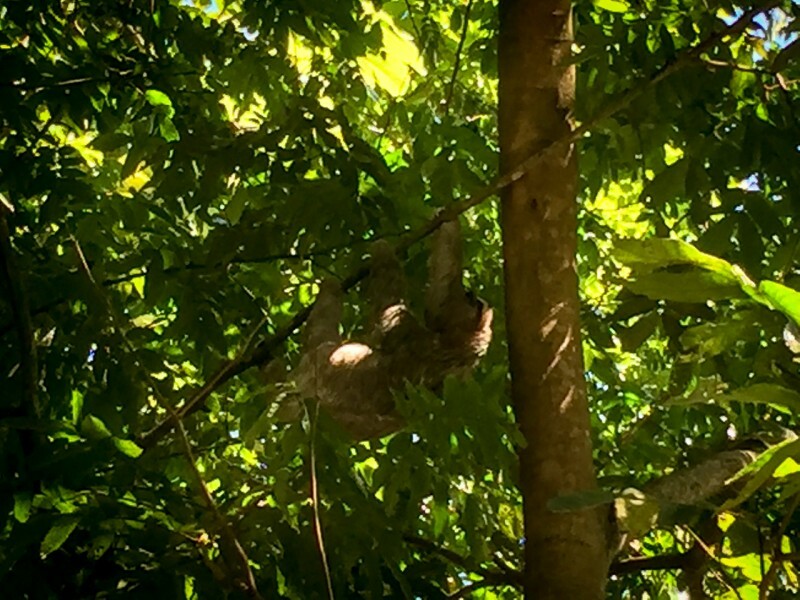 No full-blown Costa Rica guide here! As I’m sure you have worked out already, we love to visit beach towns. There is nothing not to like about them for us and we both find so much happiness being near the ocean. We knew we were flying out of the capital, San Jose so after learning about the town of Manual Antonio, we spent our 3 days there as opposed to staying in the main city. San Jose is a busy, commercial, developed city and quite expensive, so we spent half a day exploring the main streets and then it was as easy as taking the local bus for $9 and 3 hours to the beach town of Manual Antonio. What made these few days so awesome was the weather, we really couldn’t have asked for better. You know those sunny days that you look up and see nothing but perfect blue crisp skies from morning to evening. We had them every day and it was heaven! 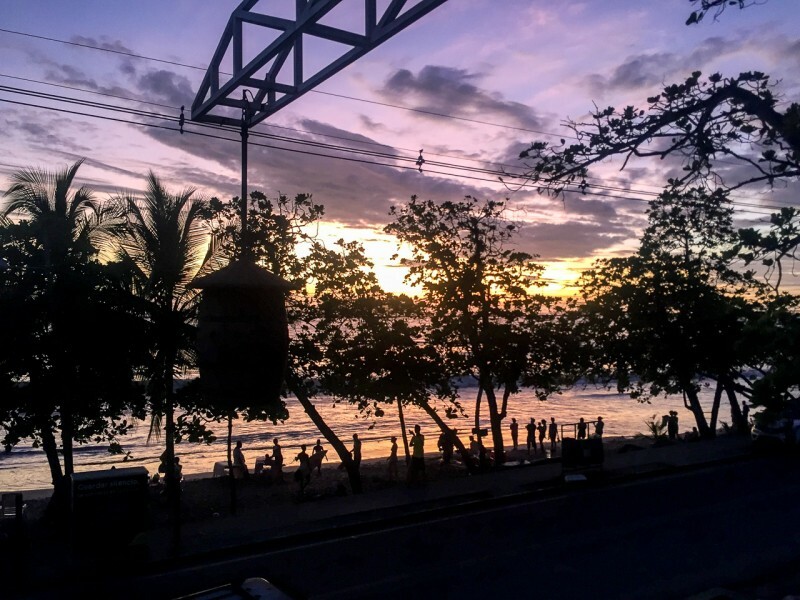 Manual Antonio town has plenty of accommodation options, some are directly on the beach and others a short bus ride away, either way, there’s something for everyone from basic to fancy. We booked ourselves at Kacha beach club. It was a very simple hotel and only consisted of 6 rooms. The 2 best things about the place were the location, you can’t beat the ocean right out the front door and second best, although Jacob would likely say the best, was the fastest wifi we’ve had in forever. Something you can take so easily for granted when you’re trying to run a business! 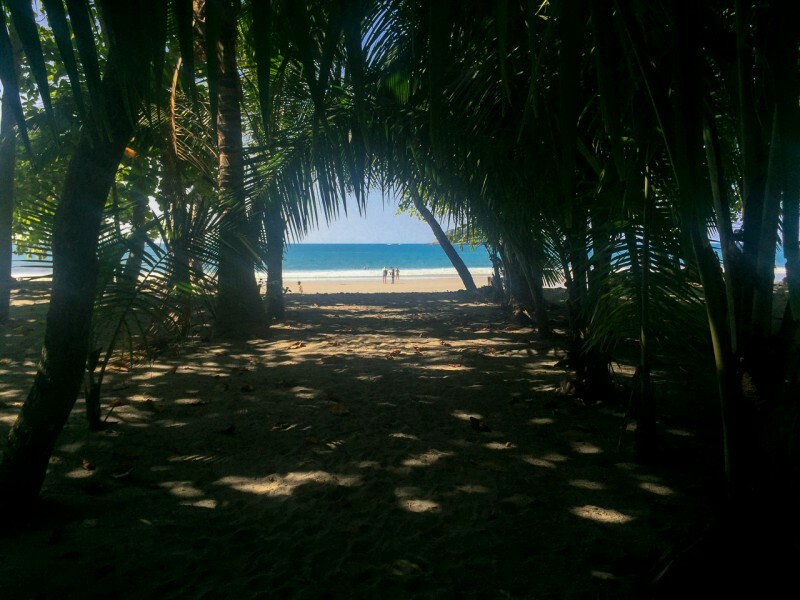 Manual Antonio is most notably known for its National Park and beautiful beaches. The park boasts a range of wildlife to visit however we were extremely lucky to see such animals right out the front of our hotel so that saved us a $15 entry into the park ;). 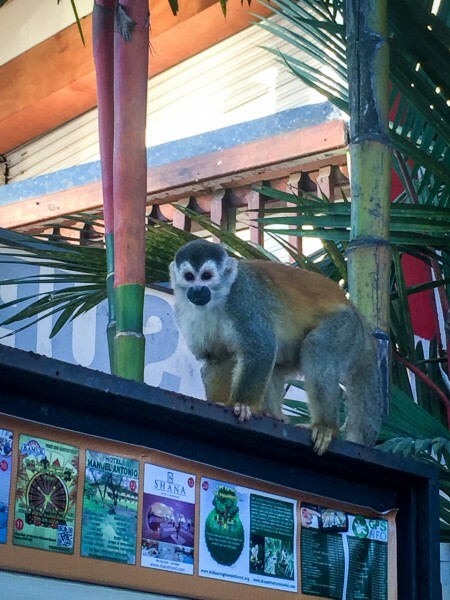 Monkeys, sloths, geckos & iguanas were all spotted directly in front of our hotel. 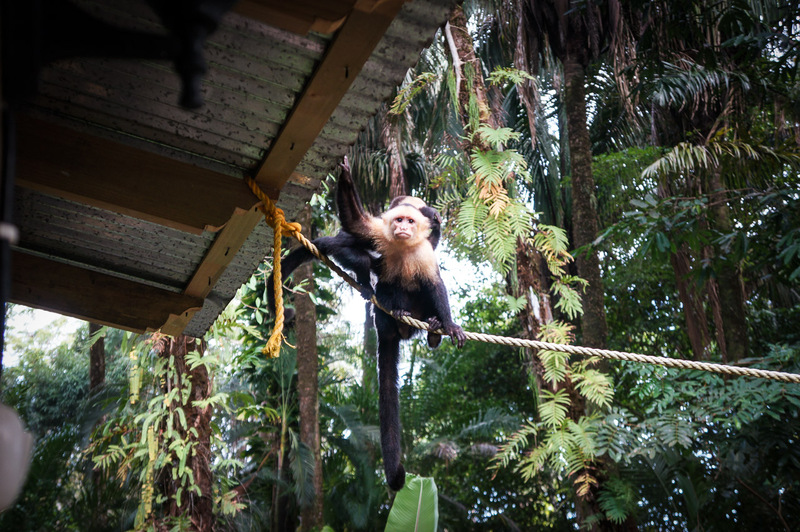 Ropes were put up attached to many trees and the hotel so most afternoons we would see anywhere from 5-10 monkeys swinging on the ropes right above our heads. 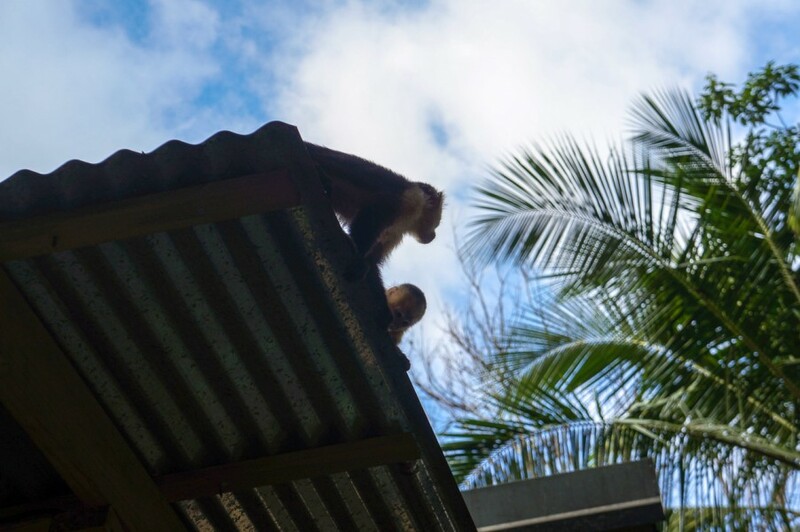 At one point, the little buggers climbed up onto the roof, proceeded to jump up and down like little kids, to shake all the leaves off. They then peered over the edge to stare at our reactions, it was so playful and cute. There were also babies on their mother’s backs and others playfully fighting, we also saw one of them duck into the supermarket and grab himself a banana to chew on at the register. Although we did like our hotel, if we hadn’t have stayed there we would have stayed at backpacker friendly, Hostel Linda. Most hostels/hotels you can find easily online, unfortunately, this one wasn’t listed. It’s most easily booked by walk-ins or trying to call. It’s not fancy by any means but it’s a great place for backpackers. The highlight of this place was the breakfast each morning. They serve a massive breakfast for $5 and it includes pancakes, fruit, eggs, coffee, tea and of course rice and beans! It wouldn’t be a Central American breakfast without rice and beans. Their lunch and dinner menu is also good and a whole lot cheaper than the restaurants on the waterfront yet it really is the same quality. 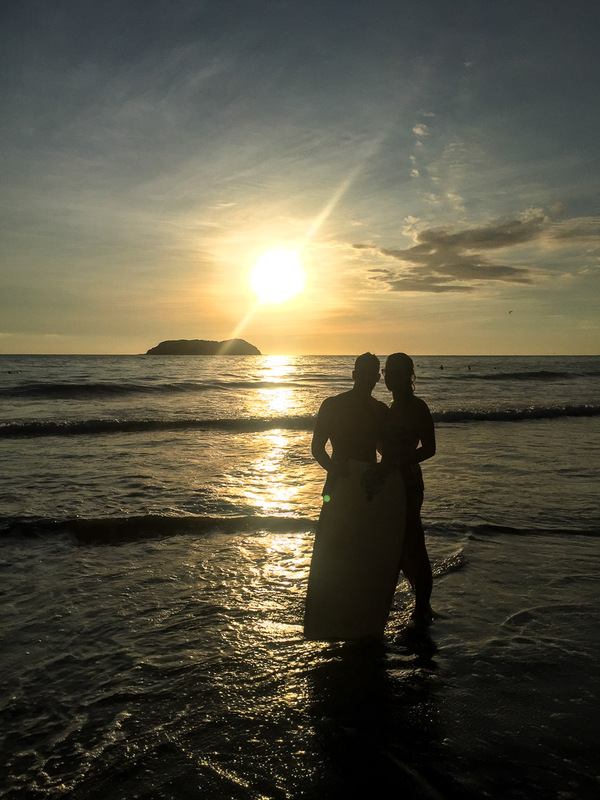 To tell you one of our favourite moments so far in 9 months was watching a sunset in Costa Rica, may sound a little extreme. I mean it’s just another sunset but honestly, this one blew us both away and it made it even more special as Jacob was out there on a board with all the surfers as the sun went down. After renting the board for over 3 hours, and only coming in to grab another beer, he was one tired but happy young man. The waves & scenery were perfect. 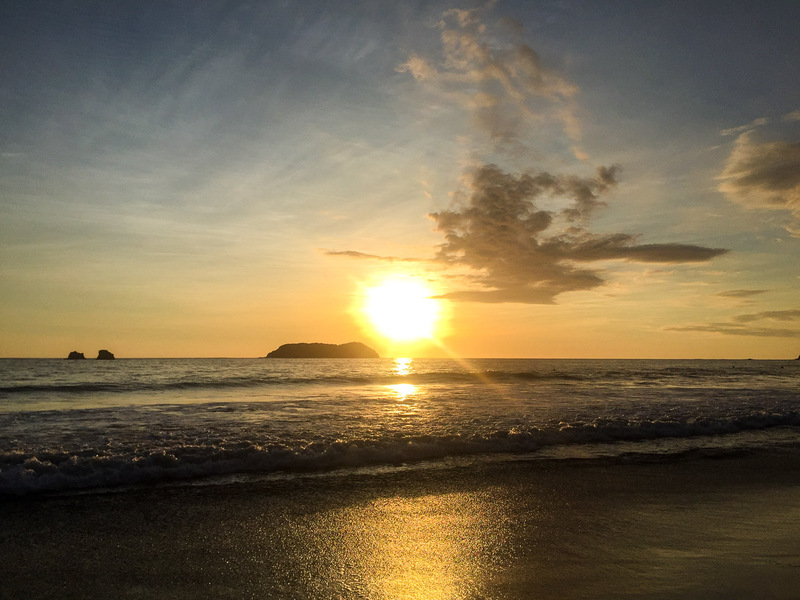 It would almost be as spectacular as the classic Santorini sunsets! 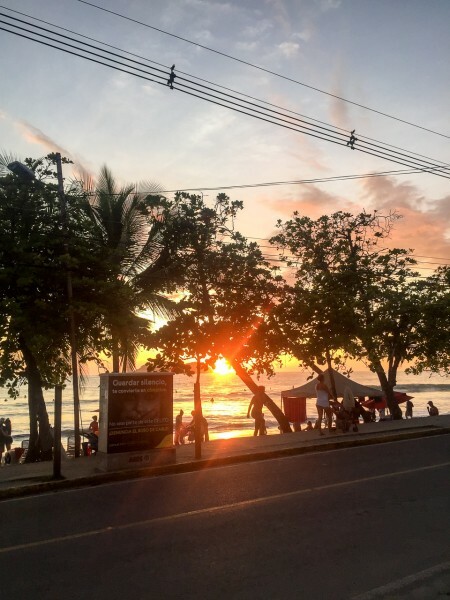 Although we didn’t go into detail of all the things Costa Rica has to offer in this post, believe us when we say it’s a country absolutely worth visiting. 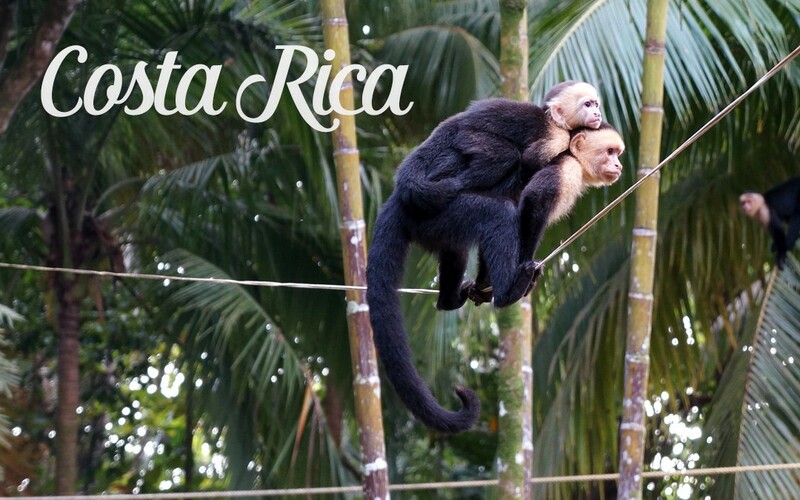 Check out Lonely Planet or Wikitravel for extensive info on Costa Rica. 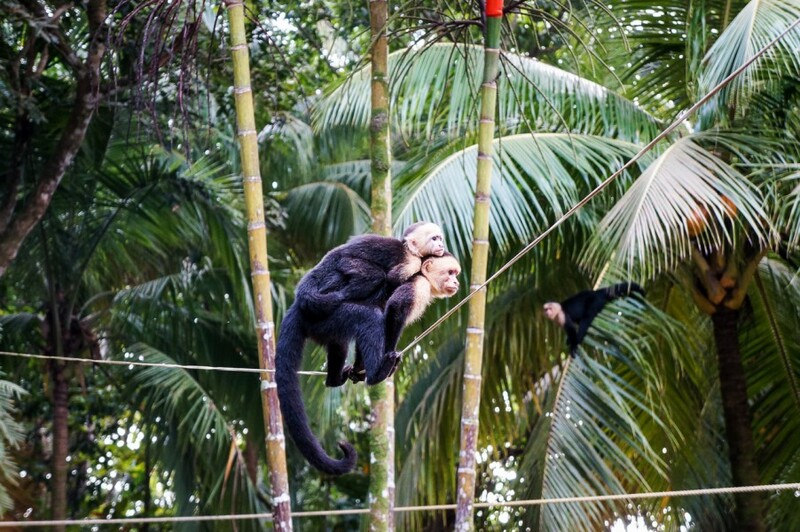 Last stop in Central America: Panama! Thanks girl! They were so cool. It’s worth paying for the entrance to the park. The beach there is much nicer than the public beach. It’s an oasis. You missed out. Sounds like you enjoyed the area though. We will go back one day and consider other Pacific areas as well. Thanks for sharing. 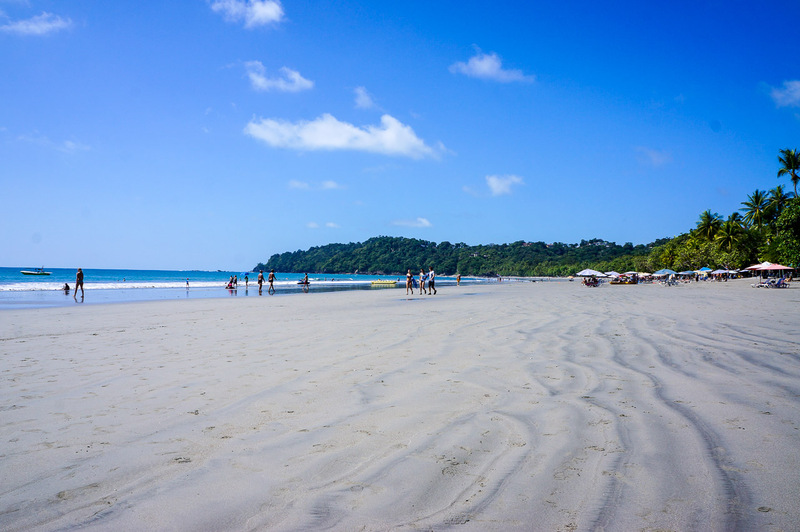 We did hear it was quite a nice beach so I definitely think when people visit they should make a stop there but we were very keen to save some $ and chill on the beach right in front of the hotel..plus I think we felt super lucky with the surrounding wildlife at the hotel! 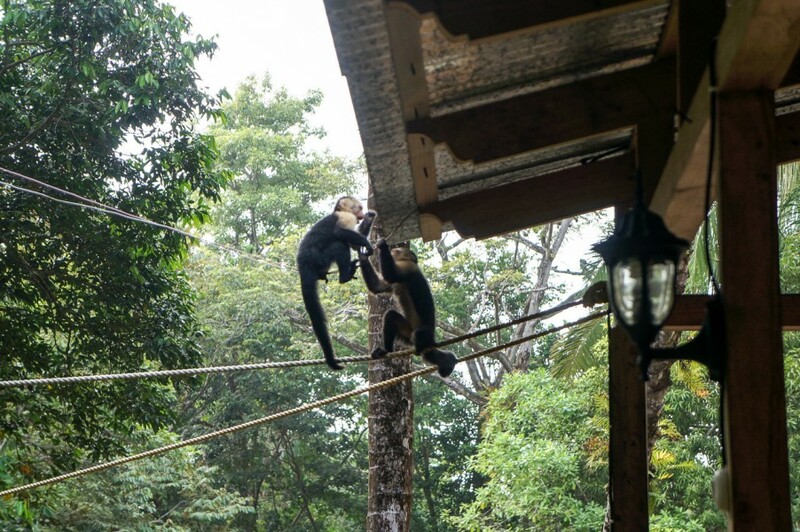 Not every day you can see monkeys swinging on your door step 😀 ! Just got back from the same area. I recognize many of your pictures. A great place isn’t it!